Proudly Announcing the 2018 Keynote Speaker! Do you want to lead with courage and be fearless? Do you want to inspire your team to achieve peak performance through tenacity, resilience and commitment to excellence? 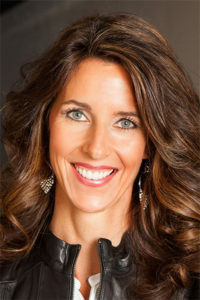 As the first female F-14 Tomcat Fighter Pilot in the U.S. Navy, Carey Lohrenz is used to working in fast moving, dynamic environments where inconsistent execution can generate catastrophic results. Carey’s leadership keynote will challenge, inform, and inspire your team to move to higher levels of performance in these difficult economic times. You will leave with clear, realistic takeaway items that can produce both short-term and life changing results. Carey’s timely message about high performing teams and developing a culture of learning is based on the best practices of high reliability organizations. As a dynamic keynote speaker, Carey has been requested by name from some of the top Fortune 100 businesses, and now she’s coming to deliver her message at the Symposium! Her ability to connect with both an audience and on a one-on-one level, coupled with her knowledge and experience in leading high-performing, diverse teams, has made her highly sought after as a business consultant and leadership speaker. • Be a Catalyst. Make change happen by focusing on what matters most. • Be Tenacious. Overcome your fear of failure. • Be Committed to Excellence. Prepare, Execute, and Debrief to accomplish seemingly impossible missions every day. • Be Resilient. Turn adversity into success. An industry pioneer and team performance accelerant, Carey is uniquely qualified in the fundamentals of Leadership, Teamwork, Winning Under Pressure, Reducing Errors, and Overcoming Obstacles.